Fantasy football league are creating quite a buzz these days. If you are an ardent lover of football with a streak of an online bettor and also cherish the desire to earn good money quickly, then fantasy football should be your call. From Dream Teams to DraftKings, you will find plenty of hosting sites that can open a getaway to FF league for you, no doubt. Harboring a dream of an FF league team owner is an ambitious one but to materialize it successfully, you need to undergo some stages of analysis, decision-making, and execution. The following recommendations will prepare the fundamental ground for you, to end up as an owner of a thriving football team. Go through each point, and jot down your strategies about implementing them each. Reading, researching and doing enough preparation will go a long way to making you a competent and confident owner of a fantasy football team. As a first-time participant here, you should know the in-depth meaning of the terms such as - waiver wire, playoffs, drafting, and scoring. The last one is the optimal point if you want to last long enough in fantasy football as the owner of a winning team. 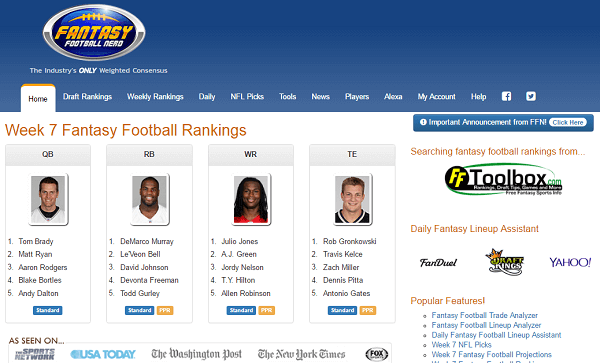 Free Dream Teams fantasy football can provide you with lots of demo games to practice your hands at. For confidence-boosting, this is the best homework you can do on your own. Apart from that, mock drafting is another area which plays the biggest role in any team’s victory at the end. Reading the history of players, the assessment of their strengths and weaknesses will help you to figure out how to go ahead with replicating the original drafting process. Create a couple of cheat sheets based on the grades of the players and your other assessments. Dummies are a great virtual resource if you are looking for idea generation to making your first cheat sheet. FFtoolbox.scout is another efficient website full of dummy sheets as well as projections of loads of fantasy league players. Even if you are feeling hesitant and nervous before you start your journey as a fantasy league owner, the above-mentioned point will definitely strengthen your determination to a large extent. But the love for the game or the thrill for the online betting won’t sustain you in the competition for a long term. Do you know that the percentage of half-way quitters is astonishingly high in fantasy football leagues? The chief reason is- most of them have not understood the dedication and time any of these leagues require from an owner. Are you still doubtful? 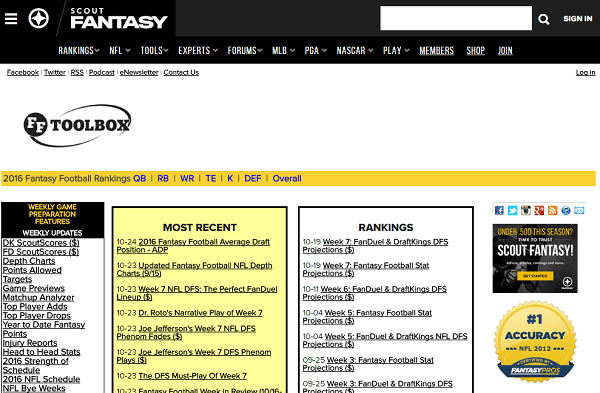 Play a couple of Free Dream Teams fantasy football games and see how you like them. Do you have a long vacation or a stressful work assignment coming in? Then don’t commit yourself as a team owner in fantasy football- as you won’t able to juggle both. Fantasy football leagues are full of sudden changes, which require you to stick out for the scoring and latest updates on a daily basis. Similarly, a certain amount of numerical knowledge is required for an owner to excel in the tournament. Why? Well, for the purpose of grasping the concept of ‘scoring’ as well as picking up the connotation of quarterback positions, mathematical clarity is desirable. Having fun while strategizing- is the deadly combination that fantasy football can offer to you. Play some demo matches of Dream Teams to get the drift- whether you are having a greater time or sensing a gnawing feeling inside your belly. If it’s the latter, then fantasy football is not for you. Rather, someone who enjoys riding along the waves is more suitable to be a fantasy league football team owner. The first bouts of anxiety attack most of the owners’ have when they are asked to create a line-up finally. Almost all the owners prefer solid pick-ups who guarantee good returns but don’t have much to offer in terms of artistic play skill. Also, the under-dogs always find it hard to get placed in the top-notch preference tables. If you want to a whale of a time, then combine safety with a dash of uncertainty. Selecting a footballer with a solid record, along with someone still green-behind-the-ears but showing a tremendous promise, will make ‘things’ spicier for you. Be a daring team owner while trading off your players with other teams too, as the trade-off is a pet-peeve for many team proprietors because trade-off requires a thorough analysis and a confident pitch. The mantra for a successful trade-off lies with not taking it too seriously. There are tons of information you will find in the field of fantasy football league, no matter which hosting site you sign-up to. Printed magazines from one of the main resources. But do you know that printed magazines mostly contain outdated information? Thinking logically, you will realize that a magazine carries articles that are written well ahead of the actual game. But When a fantasy league takes place, you need to keep in the loop about the- latest trade-offs, injury, player-drop, replacement to name few. A site like Fantasy Football Nerd should be your true companion here, which puts fresh updates in its site - regarding the latest happenings of fantasy football league. Even if a website charges you nominal fees in lieu of bringing you up- to- date, then you mustn’t shy away from it. With the growing popularity of daily sports league, it’s the matter of time that, the patrons of season-long fantasy league will shift to the former. Showing your confidence on World Wide Web will definitely keep you on your toes - thus leading to take conscious decisions in the player line-up. Building up the line-up ahead, participating in simulated games, keeping cool under extreme pressure are some of the prerequisites from a would-be owner of a victorious team. Taking part in football fantasy may not only enrich you monetarily but also it can teach you valuable lessons of life. Grab the opportunity when you have one.